Bank Al-Magrib, Morocco’s central bank, held its key rate steady at 3.0%, and said it will institute a new program to encourage banks to lend to very small, small and medium-sized enterprises. 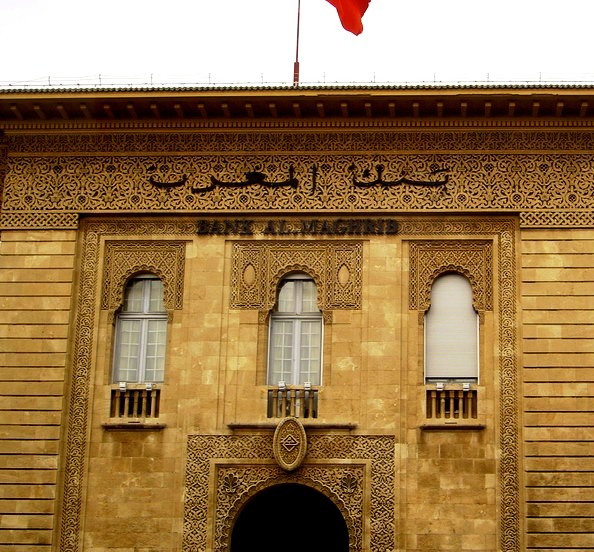 Central Bank News (June 18,2013) — Morocco’s central bank held its key rate steady at 3.0 percent, saying inflation is expected to remain in line with the bank’s price stability objective and the risks are balanced. Bank Al-Magrib also said it would implement a new program to encourage banks to lend to very small, small and medium-sized enterprises, particularly industrial companies that are export-oriented due to a continued deceleration in non-agricultural activity and bank credit. The program, with a minimum duration of two years, provides banks with liquidity collateralized mostly by private securities issued by such businesses, the Central Bank of Morocco said. Bank Al-Magrib trimmed its inflation forecast for 2013 to 2.1 percent from a March forecast of around 2.2 percent and maintained its forecast that inflation would be around 1.6 percent in the third quarter of 2014, averaging 2.0 percent over the forecast horizon. Morocco’s inflation rate rose to 2.4 percent in April from 2.2 percent in March for an average rate of 2.4 percent in the first quarter, in line with the bank’s forecast from March. Core inflation rose to 1.6 percent in April from 1.5 percent in March, mostly due to the dissipating effect of a cut in communications prices in 2012. Due to lower commodity prices, industrial producer prices fell by 4 percent in April after a 1 percent fall in March. Morocco’s central bank has held its key rate steady since March 2012 when it cut rates by 25 basis points. Morocco’s economy is forecast to bounce back this year after growth of 2.7 percent in 2012 due to an 8.9 percent fall in agriculture valued added and a 4.5 percent fall in non-agricultural GDP. This year, agricultural activity is benefitting from good weather while the non-agricultural sector will be impacted by the economic downturn in partner countries, mainly the euro area. Gross Domestic Product growth this year if forecast to range from 4.5-5.5 percent – up from a March forecast of 4-5 percent – with non-agricultural output rising 2.5-3.5 percent, which means the output gap remains below zero and the absence of inflationary pressures from domestic demand. The central bank said the international environment was still characterized by a “continued worsening of economic activity and the persistently high levels of unemployment,” particularly in the euro area. “These developments, couples with lower commodity prices, contributed to keeping inflation at moderate levels, particularly in partner countries, which suggests the absence of significant external inflationary pressures on the national economy in the coming quarters,” the bank said.